It is important for any new organization to provide a clear and informative overview. This MITRA overview includes a profile, vision and mission statements, key principles, the background context of Eastern Indonesia as well as the three pillars and main programs within MITRA. 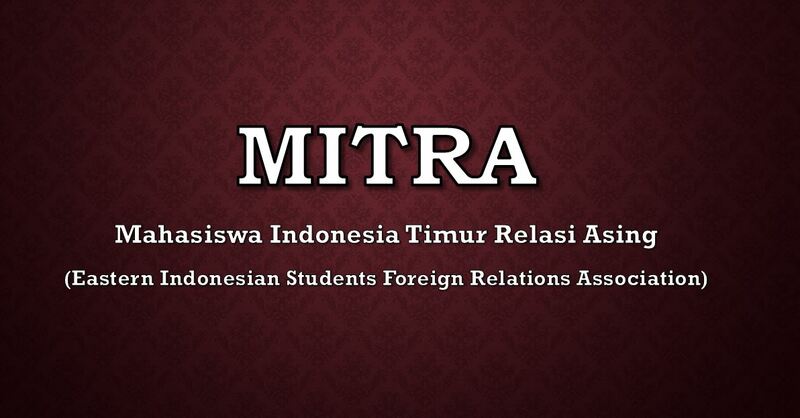 For information about the people who make up MITRA and our commitee follow this link. Masyarakat Indonesia Timur Relasi Asing (MITRA) or the Eastern Indonesian Foreign Relations Association is an international equity-based youth movement localized across the 6 of the most disadvantaged provinces of Indonesia. All of these locations are found in the peripheral East stretching from the Wallace line to Papua New Guinea. The MITRA Association which was formed in December 2013 by local and international students in Timor Island now covers 12 communities based at various higher education institutions. As a result, MITRA membership is represented in the provinces of Nusa Tenggara Timur, Nusa Tenggara Barat, Maluku, Maluku Utara, Papua and West Papua. MITRA also has international members from Australia, Poland, Netherlands, U.S. and other countries. MITRA is the only localized international youth association which focuses on generating valued change and overcoming structural inequality and stigma in disadvantaged contexts in Eastern Indonesia. MITRA aims to contribute towards the wider movement of evening the scales of opportunity between core and peripheral Indonesia. MITRA envisages a lasting association which can support and empower youth, students and others from lower socio-economic backgrounds and provinces. Greater access to information and opportunities for Eastern Indonesian communities serves as a counterweight to the advantages of the privileged elite of the wealthier provinces in Indonesia. Through this equity-based movement, MITRA envisions a platform to empower members who display the greatest merit and initiative in contributing to their local communities rather than those who are most well-connected or privileged. This will allow MITRA members and Eastern Indonesia to have more opportunities to reach their full potential. Future generations from East Indonesia will have a greater sense of voice and a more global orientation into the future. MITRA also hopes to do this by raising the profile of Eastern Indonesian agents of change. This may involve MITRA members from universities and other higher education institutions, research institutions, NGOs, the public and private sector and other actors. This will build the potential of both members and institutions to forge stronger partnerships at both a regional and international level. Build a stronger sense of community and solidarity within Eastern Indonesia – with a youth oriented approach. Sharing information – to become a platform for high quality and continuously updated information as well as educational and vocational training materials. Provide access and channels to opportunities – through sharing information, advice for general members and mentoring for the committee members who have made the most contributions. By facilitating the three program themed pillars of MITRA within Eastern Indonesia. Attempt to facilitate exchange programs between East Indonesia and foreign countries. To welcome and support international students arriving at Eastern Indonesian universities.